Bicarbonate of Soda – also known as Baking Soda has a number of useful properties - It can neutralise acid, scrub shiny materials without scratching, deodorise, and extinguish grease fires. It can be used as a deodoriser in the refrigerator, on smelly carpets, on upholstery and on vinyl. It can help deodorise drains. It can clean and polish aluminium, chrome, jewellery, plastic, porcelain, silver, stainless steel and tin. It can soften fabrics and remove certain stains and also soften hard water. Traditional yet incredibly effective, these domestic cleaning products make us wonder why we ever stopped using the good old-fashioned solutions. And, as with lots of classic products, they're really versatile too. 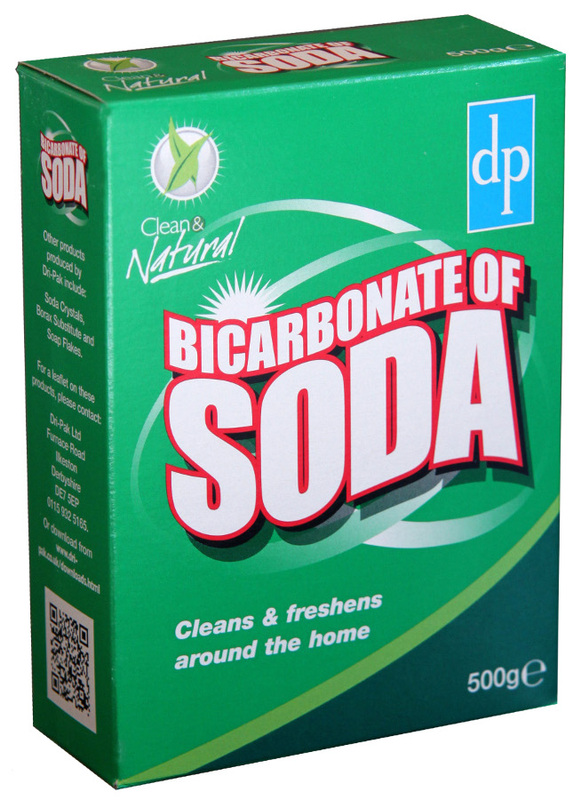 The Clean & Natural Bicarbonate of Soda - 500g product ethics are indicated below. To learn more about these product ethics and to see related products, follow the links below. 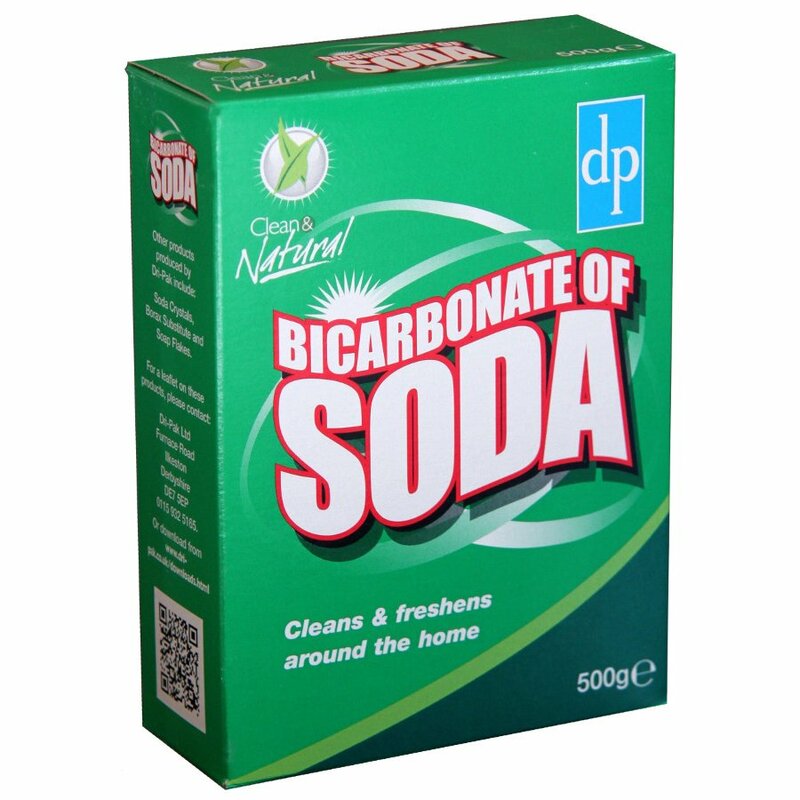 Bicarbonate of soda as it should be ;-) but this comes with no plastic packaging!rnGood for cleaning, by the way. I use this product in the cleaning of kitchen and bathrooms. It is very efficient and I prefer not to use products containing synthetic perfumes and harsh ingredients. Using this, along with white vinegar, to whiten laundry. Still working on it - so I m not sure whether this tip I was given will work or not. A: Hi, the manufacturers state that as there are no specified additives listed, it is possible that aluminium is present. It's important to note that this bicarbonate of soda is only recommended for household cleaning. I hope this helps. Robyn. 21 out of 27 found this question and answer helpful. A: Hi, we can't think of any reasons why this wouldn't be okay as bicarbonate of soda is widely used for this purpose, however, we recommend you check this through with your vet before going ahead. I hope this helps. Robyn.